Finally it is the season for staying outside: biking, eating, drinking and having fun! 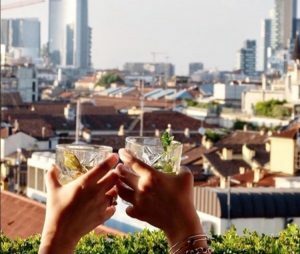 After the best bike tour in Milan you might want to have a drink with a panoramic view? 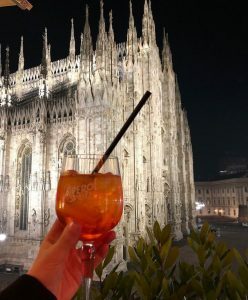 The most classic view and the best pictures of the Duomo Cathedral you will get from two rooftop bars on the Duomo square: “Terrazza Aperol” and “Terrazza Duomo 21”, but for the best foto shooting we would certainly recommend the second one! Very nice view on the old city of Milan you will get from the “Hotel Milano Scala” in via dell’Orso, 7. 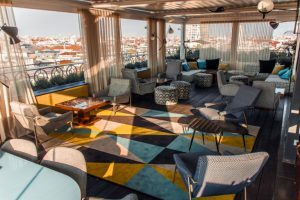 You will love the bar with a stunning panoramic terrace. 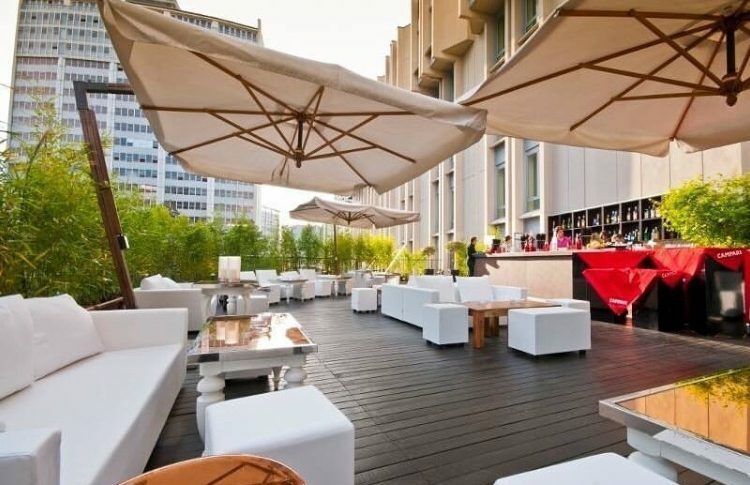 Another central located and very cool bar on a rooftop terrace is “Brian&Berry” situated in via Durini, 28. It is very elegant inside with the Duomo view and very good italian cocktails. 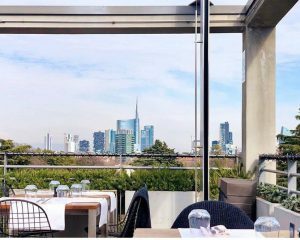 If you look for a quite green place in the heart of Milan, then you definitely will like “Terrazza Triennale”a rooftop restaurant in the Sempione park with the view on the Sforza Castle and the Milan Skyline. Viale Alemagna, 6. 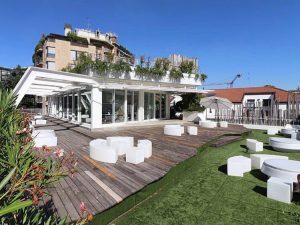 A new rooftop space “Hub42” for parties and different events you will find in a historical district in via Gian Battista Vico, 42. Nice view and a big open space with modern design will conquer you! Do you want something more then just a drink? What about a swimming pool on the roof? No problem, if you are in Milan! 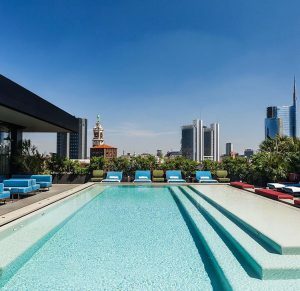 A rooftop bar, a delicious restaurant with a view and a swimming pool – all this in “Ceresio 7” in via Ceresio 7. Of course, to deserve such a relax first you have to do a workout. Join our bike tour, we guarantee it will be the best activity in Milan!